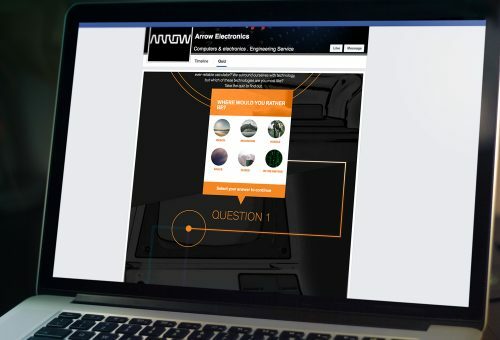 Custom Facebook App for electronics and computing solutions giant, Arrow. Innovative technology company, Arrow Electronics, 'five-years-out' approach is inspiring. To promote this forward looking mission to social media audiences, Arrow tasked FIREANT STUDIO to develop a custom Facebook app reflective of its brand, supportive of its goals, and engaging to its target market. Which Invention Are You? From conception to design, FIREANT worked closely with the client to help develop an integrative Facebook app quizzing Arrow's social media audience through an interactive personality test. Employing Arrow's sleek and straightforward aesthetic, the result is an integrative social app built for Facebook and cross-promoted on Arrow's Instagram account. Inspired by the client’s clean, minimalist branding, design and wireframing was led by FIREANT’s UX and web development team. By leveraging a content-forward design the app fluidly guides the user to discover which invention best suits their personality. 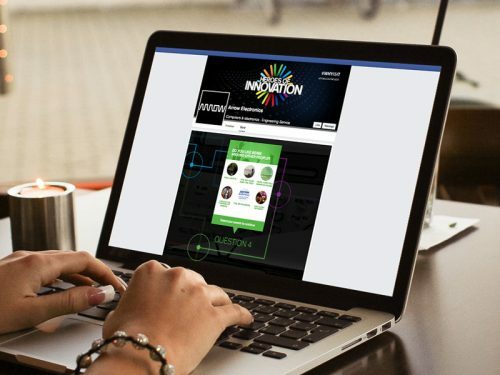 Digital marketing principles aligned with intelligent design come together to captivate Arrow's social media audiences and promote its mission. 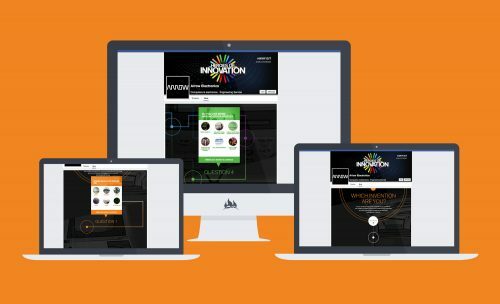 For this custom-built solution, emphasis on user engagement is front and center. Thoughtful, straightforward design inspires Arrow’s social audience to take notice and take action. Supporting a comprehensive marketing strategy for the client, FIREANT STUDIO designed unique ad creatives for the Facebook app through Instagram’s advertising platform. Through cross promotion on these targeted social channels, Arrow’s campaign is elevated as awareness is raised. Employing Arrow's sleek and straightforward aesthetic, the result is an integrative social app built for Facebook and cross-promoted on Arrow's Instagram account.